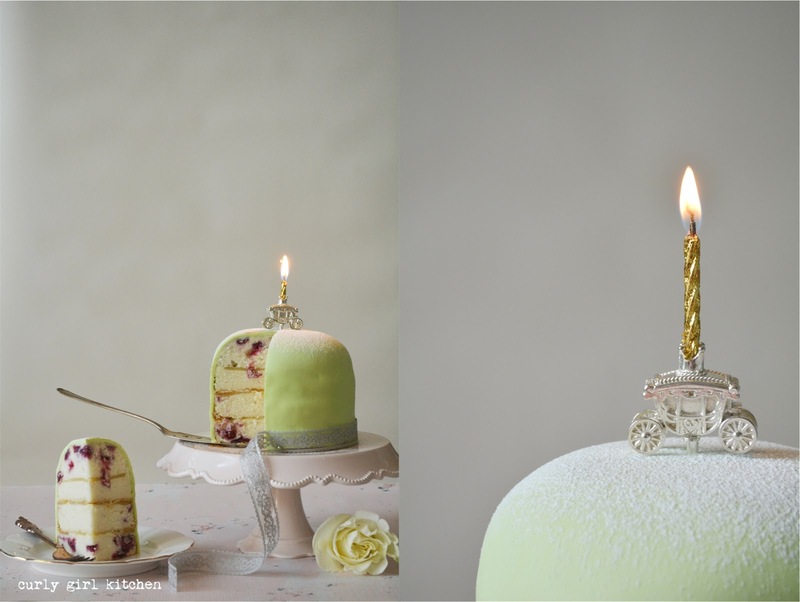 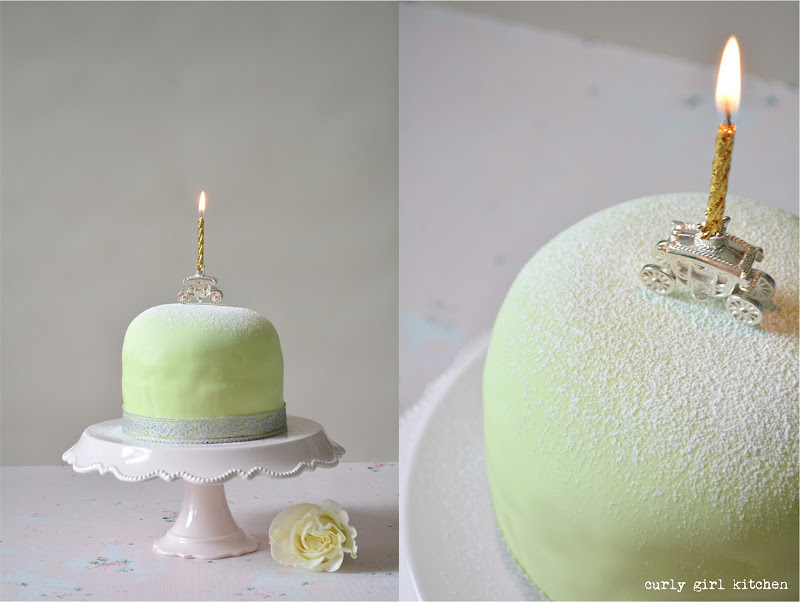 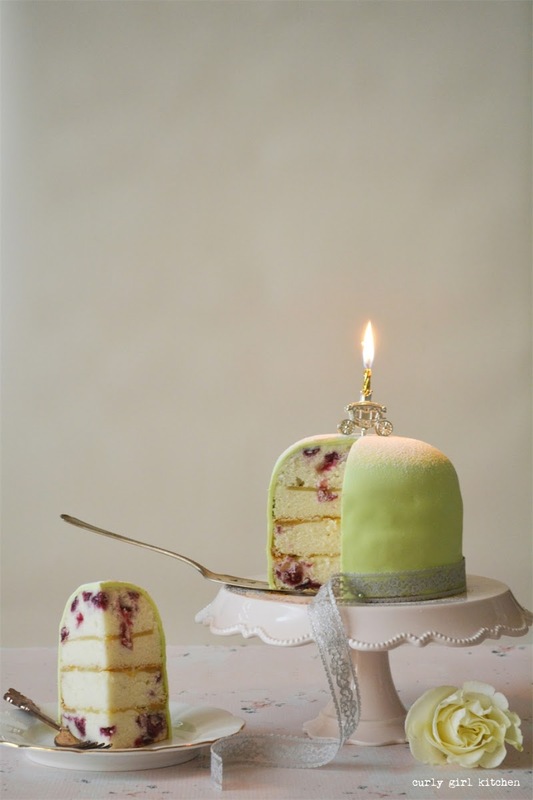 Now, I'll start by saying that this is not a traditional Swedish Princess Cake, which is typically composed of layers of light sponge cake and jam, topped with a generous dome of whipped cream and covered in green-tinted marzipan. 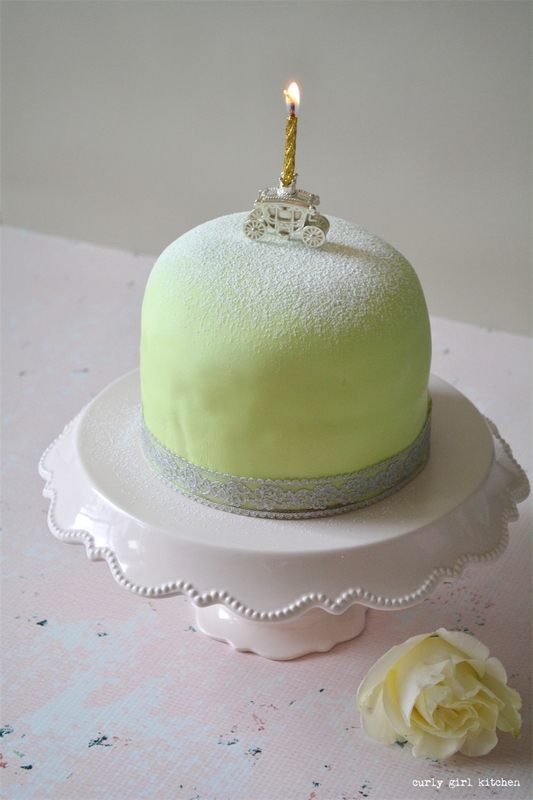 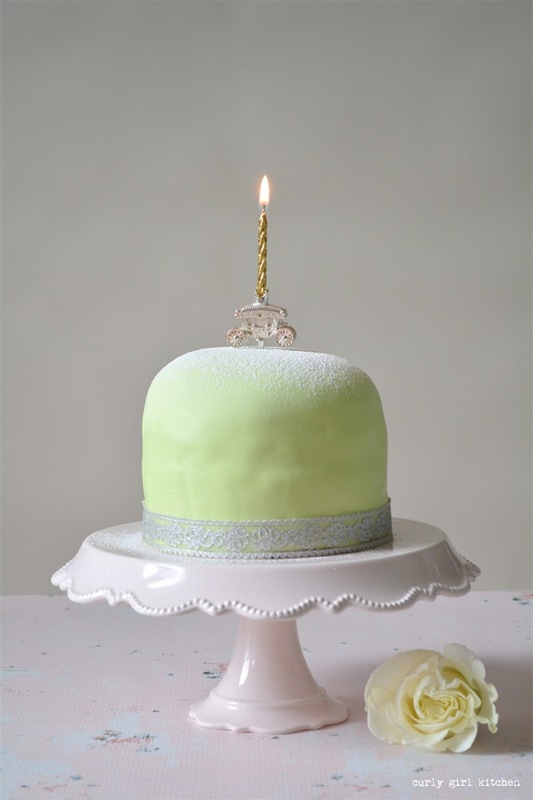 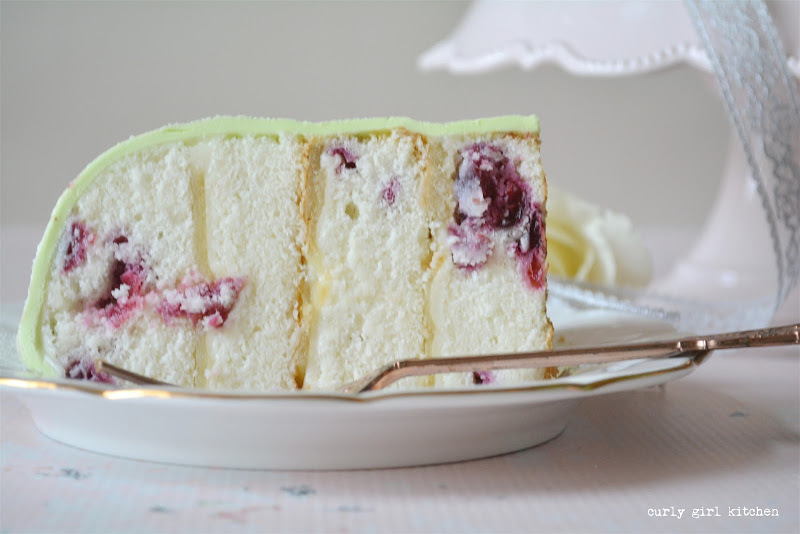 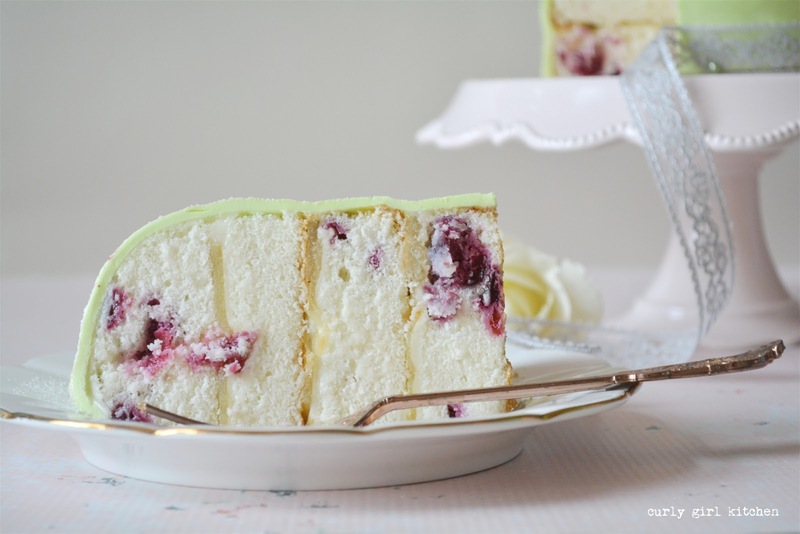 Miette has such a pretty princess cake in their cookbook. 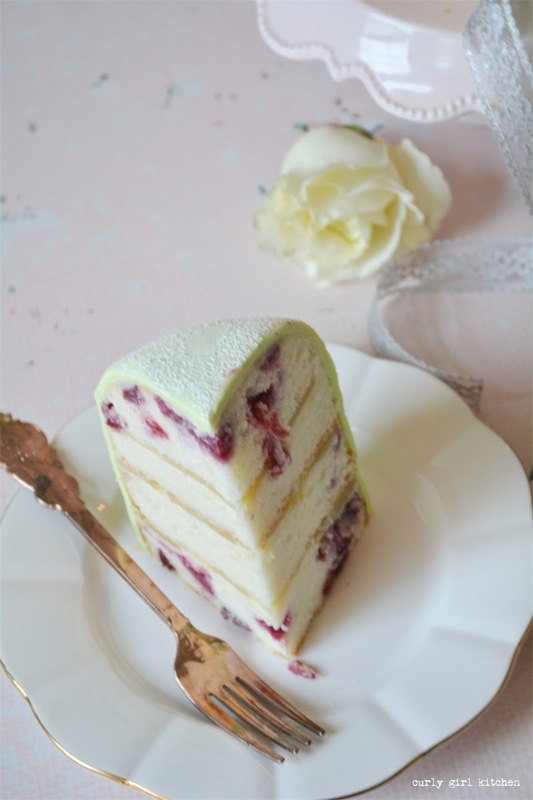 It's a cake that requires quite a bit of finesse, so I went a little easy on myself and layered white cherry cake, cream cheese buttercream and thin slices of almond paste, which I covered in fondant and a dusting of powdered sugar. 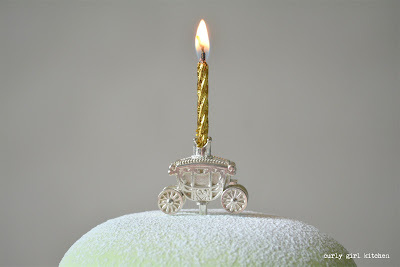 You can see that my fondant work could use a great deal of improvement, as covering cakes with fondant is something I rarely practice, but even so, it looked quite pretty (once I covered the majority of the flaws with a ribbon), especially with a sparkly gold candle and a silver carriage candle holder from Silver Celebrations London.